When TFC Financial launched the TFC Financial Charitable Foundation, advancing their commitment to promoting financial literacy and supporting the Greater Boston community, they turned to the Cambridge Community Foundation (CCF) for counsel on funding strategies and a deeper look at organizations that work in the community. Daniel Kern, TFC’s Chief Investment Officer and a CCF Board member, made the connection between Renée Kwok, TFC Financial CEO, Leann Sullivan, a TFC financial planner, and CCF staff. 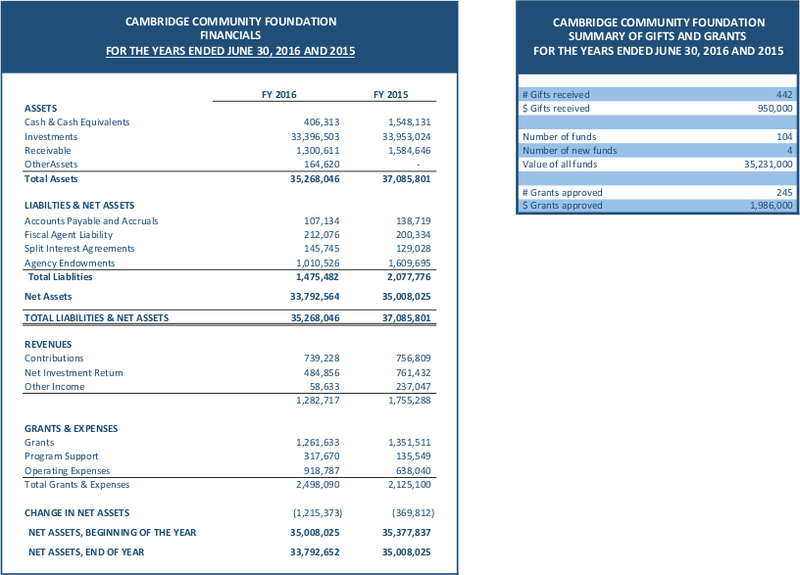 In February, 2019, following the review of several programs, the TFC Charitable Foundation offered grants to organizations supporting Cambridge and Boston-based families: Cambridge Housing Authority’s Work Force Program and uAspire. There was immediate resonance with the Work Force and uAspire’s work in advancing social equity in distinct areas of people’s lives, specifically through workforce training and college preparation. For young people from low-income families, the opportunity to attend college can be transformational, launching them and their future families on a path to prosperity. However, navigating the unchartered territories of a college environment, self-advocating, learning how to take leadership, managing tight budgets, and dealing with financial issues and paperwork around loans and financial aid are intimidating challenges, especially for first-generation college students. For Renée Kwok, TFC’s new philanthropic organization was a move that was ‘on mission.’ “As a wealth management firm, we frequently counsel clients on charitable giving strategies. With the new Foundation, we are establishing our own philanthropic legacy for the firm,” she said, when the Foundation was formed. CHA’s The Work Force is a Cambridge-based educational enrichment, college preparation, and workforce-readiness program serving exclusively residents of Cambridge aged 12 to 20 year–olds who reside in Cambridge public housing or use Section 8 voucher programs. The program serves more than 280 young people each year. uAspire helps fill severe gaps in the college application system by offering one-on-one support to students to maximize the aid they receive, minimize their need to take out student loans, and make the best–informed decision about which post-secondary education is best for them.